God is sovereign, but He is also free and responsive. Overstressing God’s sovereignty can undermine prayer and evangelism, and it often results in fatalism. Overstressing God’s responsiveness undermines God’s immutability, His knowledge of the future, and it makes God a puppet. It can result in man’s faith becoming a god, an idol. 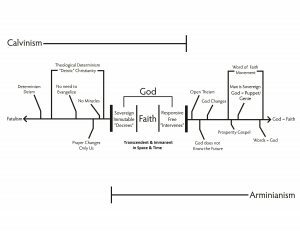 Just as important as the theological discussion regarding God’s sovereignty and man’s free will is the Biblical balance regarding our faith in the context of God’s sovereignty and His responsiveness.